We will answer the questions from the customers. 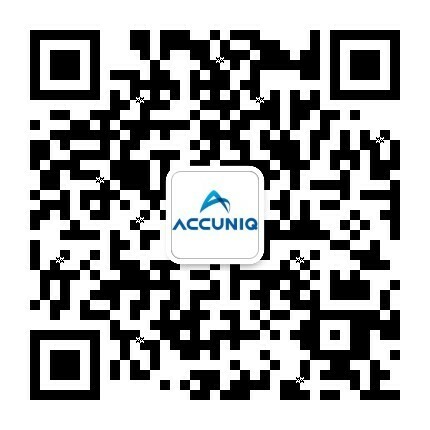 In case of Accuniq measurement, please use it according to the following order. on the markings as shown. will touch the finger electrode. You need to follow the instructions below to ensure safety of the device. Minimize the mass of clothes as muc as possible. Do not use the machine in conditions of over-eating or extreme dehydration. Do not use the machine after a vigorous exercise. Do not use the machine right after a bath. Please use the machine in the same or consistent conditions if possible. Please follow the instructions below to ensure safety of the machine. Check the direction of the arrow on the connecting part of theadapter. You need to plug it as such that the arrow is facing up. Wrong connection can cause problems with the machine. When connecting the adapter, you need to properly connect it by pushing it sufficiently. Unstable connection can cause problems with the machine. Please use the adapter and power cable that Accuniq provided. We are not responsible for any problem that is due to the use of random accessory. Spillage of water on the product may cause fire. Do not install the product when the voltage is unstable or where there is no ground. Please get your Body Composition Analyzer and Blood Pressure Monitor checked every two years. If you want to move the product you are using, contact us to request for our cooperation. Incorrect installation can cause problems with the product. Impedence is out of the measurable range. When the subject's body impedance is deviated from the limits, clean the measuring parts (the electrodes, palms, soles or ankles) then try again. Measure again in the correct posture and right touch to electrodes. Do not move during measurement in order to avoid wrong connection with electrodes. Cannot measure if the impedance is out of range. If the same error is repeated, please contact our company or its local distributor where this device is purchased. The body fat percentage is out of the measureable range. Clean the electrode holders and try again. Measuring is not possible if the P.B.F. is out of range. If the same error is repeated, please contact our company or its local distributor where this device is purchased. It is out of the measurement range. Input height correctly. Confirm measured weight and try again correctly. Measuring is not possible if the degree of obesity is out of range. There is insufficient contact to the Ankle electrodes. Contact all 4 ankle electrodes with ankles tightly. - In case weight is below or above measurable range. Measure weight again. Do not move or speak during measurement. Measuring is not possible if the weight is out of range. In case measuring is done under unstable hydration state such as right after physical exercise, taking a bath, extreme perspiration, or drinking more than sufficient amount of water. In case of moving or speaking during measurement In case electrode holders or measuring parts are dirty and not cleaned. Measure again at stable physique with correct method. Pay attention and refrain from moving or speaking during the measuring process. Clean electrode holders with soft gauze and then measure again. Clean hands and soles and then measure again. Make sure there are no foreign matters between electrodes and measuring parts. Make sure the electrode holders are connected to the main body well.